I’ve always said that, if I ever find myself on death row and get to pick my final meal, I would choose chicken soup. Old fashioned, clear, savory chicken soup with matzo balls. 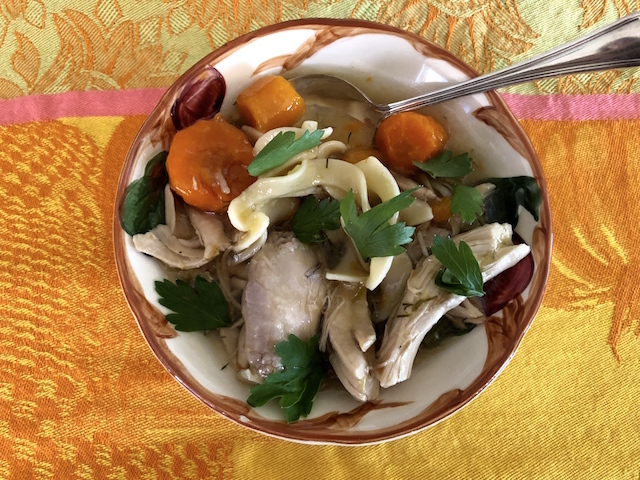 I still stand by my wish, but this chicken stew, hearty and nourishing and even more decadent than my beloved chicken soup, would be a close second! Fall has definitely arrived in Seattle and, with the cooler nights and cloudier days, soup and stew sound and taste amazing to me. All summer I was enamored with many cold salad type dishes, and I didn’t really desire much in the way of warm, stewy things. 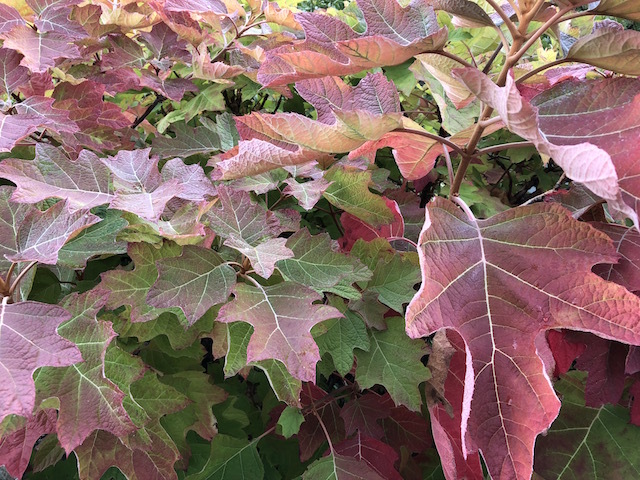 My cravings have changed with the colors of the leaves and this particular recipe, which I discovered earlier this year and perfected over time, is now on heavy rotation at Casa de My Global Kitchens. This originated with a Cooks Illustrated recipe I stumbled upon, and being old school with my pressure cooker, I decided to give it a whirl. Wowza, it is good enough that I have prepared this at least ten times and usually give a half gallon of this soup to a new mom, an ailing friend, or any child who begs. I have added more carrots, substituted fresh dill for the thyme and added additional liquid and soy. I’ve also ended up, at times, adding in different vegetables I’ve found in my vegetable drawer…corn kernels, green beans, you get my drift. Make this in your Instant Pot or pressure cooker. Have the stew alongside a thick slice of challah or other great bread. Let me know how you like it! In an 8-10 quart pressure cooker, heat oil over medium heat until shimmering. Add onion and cook until softened, about five minutes. Stir in garlic and dill and cook until fragrant, about 30 seconds. Stir in water, carrots, celery, and soy sauce. Put whole chicken, breast side up, on top of the liquid and veggies. Lock the pressure-cooker lid in place and bring to high pressure over medium-high heat. As soon as the pot reaches high pressure, reduce heat to medium-low and cook for 22 minutes, adjusting heat as needed to maintain high pressure. Remove pot from the heat. Quickly release pressure, then carefully remove lid, allowing steam to escape away from you. Transfer the whole chicken (It will be soft and probably fall apart) to a cutting board, let it cool enough for you to be able to handle it. Remove the chicken skin and bones, and shred the meat into bite-size pieces. Bring the soup to a boil, stir in the noodles, and cook until tender, about five minutes. Stir in the shredded chicken and parsley or dill Add more soy or season with salt and pepper to taste, and serve. The soup keeps well in the refrigerator for five days or can be frozen. PS: After this cools in the refrigerator, the fat will congeal at the top and will be simple to remove. This entry was posted in Soups and tagged Pressure Cooker Chicken Vegetable Stew. Bookmark the permalink.